The special room rate for Best Practices 2016 is $185/nt. The special room rate is available until August 22, 2016. When you contact the hotel to make your reservation, please be sure to mention the Best Practices Conference to receive the discounted rate. Train Service: The Rail Runner train runs directly from the Albuquerque Airport to the Santa Fe train station. 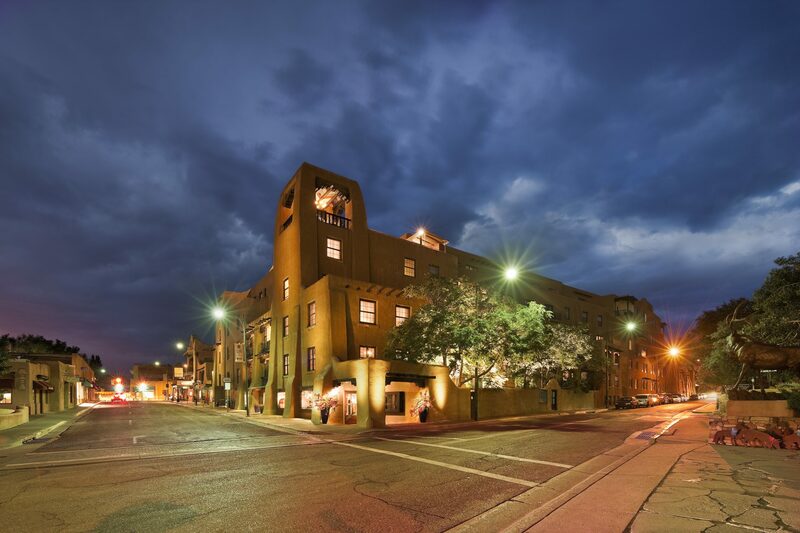 Shuttle Services: A variety of shuttle services offer convenient transportation between Santa Fe and the Albuquerque International Sunport with pick-up and drop-off at all hotels, motels, bed and breakfasts, colleges, and other locations. Enterprise Car Rental: Enterprise offers an on-site car rental location located in the garage at La Fonda on the Plaza. Please note that if you cannot attend, substitutions are welcome at any time—please contact the CIDM office with the substitution information. If cancellation is necessary, we will refund your registration fee, less a $100 administrative fee for cancellations occurring more than two weeks in advance. We will refund 50% of the conference registration fee for cancellations made less than two weeks in advance. If you do not attend and do not cancel or substitute, registration fees will not be refunded. The dress is casual business attire. We suggest bringing a light sweater or jacket because the room temperature may fluctuate depending upon the number of attendees. Your conference fee entitles you to complimentary breakfast, break snacks, beverages, and the annual banquet on Tuesday evening. Breaks and beverages will be available during the sessions and breakfast will be provided on Monday, Tuesday, and Wednesday. Please advise us of any food allergies or special dietary requirements upon booking.